Oh Boy! 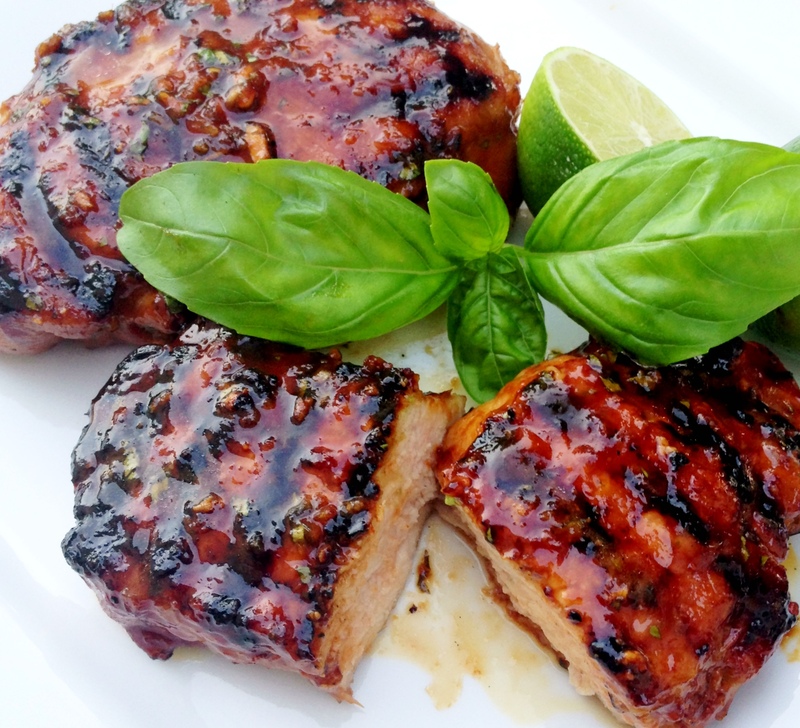 These Grilled Pork Chops with Thai Honey Lime Marinade were some of the tastiest grilled pork chops I’ve had in a long time! I’m trying to use up what I have in the freezer and I came across some thick cut boneless pork chops I had purchased from Costco. I found this recipe in the same cookbook that I found the green bean recipe I raved about earlier (cookbook is called “Hot Barbecue”). Since these pork chops were so thick I pounded them a bit with a meat mallet prior to marinating them. I let them sit a couple hours in the refrigerator, then took them out to warm up a bit before grilling them. Save a little of the marinade and brush it on the chops throughout the cooking process. It gives them a nice coating. I also think it’s important to be careful and not overcook pork! If you’re cooking your pork chops to 160 degrees, most likely you will have dried, tough pork chops. Take them off earlier and let them sit so the juices redistribute. I also just wanted to point out those awesome grill marks my husband made on these chops. He’s the best!!! Combine the marinade ingredients and marinate the pork chops (save some marinade aside to brush on chops when grilling) for at least an hour. I had my chops marinating in the refrigerator for a couple hours. When ready to grill, pull chops out of fridge and let them warm up. Heat grill to medium and grill chops till slightly pink in center. Some sites say to cook pork until the center reaches 160 but I think that makes them dry. We pull our off the grill at about 140-145 and let them rest a bit. They turn our moist and juicy. Don't overcook! Frequently brush chops with reserved marinade while cooking.